Mr. Farr is a paid Contributor for CNBC television and has appeared on The Today Show, Good Morning America, NBC’s Nightly News, CNN, Bloomberg, Reuters, and the Nightly Business Report. Mr. Farr is heard on Associated Press Radio and National Public Radio, and he has been quoted in the Wall Street Journal, Forbes, Fortune, The Washington Post, Businessweek, USA Today, and many other publications. He is a member of the Economic Club of Washington, DC, National Associaton for Business Economics, The World Presidents’ Organization, and The Washington Association of Money Managers. He is the author of A Million Is Not Enough, published by Hachette Book Group USA in 2008, and The Arrogance Cycle, September 2011 by Globe Pequot Press. Mr. Farr is the Chairman of the Sibley Memorial Hospital Foundation. 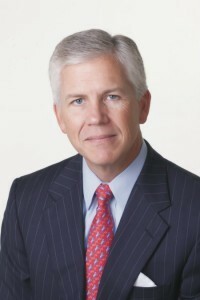 He also serves on the Board of Trustees at Sibley Hospital; he is the former Vice Chairman of the Board of the Salvation Army; he is a former member of the Board of Trustees of Ford’s Theatre; he is the former Chairman of the Board of Directors of the Traveler’s Aid Society, Nation’s Capitol Progress Foundation, and the Paul Berry Academic Scholarship Foundation, as well as a member of the Board of the Neediest Kids. Mr. Farr is a graduate of the University of the South in Sewanee, Tennessee. He is married and has two children.